CASE’s Career Central is the premier resource for talent management, connecting professionals looking to secure educational advancement positions with employers seeking to diversify their talent. Contact educational advancement employers, connect with industry mentors and make your next career move! Search Jobs from an extensive listing of educational advancement job opportunities from around the world. Post a Resume/CV online. You can choose to keep this information private and use it for applying for jobs, or make it searchable, so employers can find you. Create or Modify a Job Alert and receive e-mail notifications when new jobs are posted that match your search preferences. Post a Job to reach thousands of advancement professionals on Career Central. Search Resumes to find your next great staff member. Browse as many resumes as you want—we have access to some of the best professionals in advancement—and pay for only the ones that interest you. View Products and Pricing. Regardless of your staffing needs or budget, we have a recruitment product that's right for your business. CASE Jobs Online reserves the right to reject any advertising. CASE Jobs Online does not guarantee a specific number of visits to an advertisement. When an advertisement is placed by an agency on behalf of an institution and if payment cannot be collected from an agency for any reason, the client institution will be held responsible for payment. The advertiser assumes liability for all content, including text and illustrations (such as logos) of advertisements, and also assumes responsibility for any claims made against CASE Jobs Online and/or CASE, including the cost associated with defending such a claim. All ads will be posted for 30 days. Under the subscription agreements outlined below, renewing an ad for an additional 30 days counts as a separate ad and will be deducted from the total number of ads included in the subscription. Advertisers are expected to pay at the time of posting the job online. A subscription is defined as a maximum of six ads over a maximum of six months (whichever comes first) or a maximum of 12 ads over a maximum of 12 months (whichever comes first). CASE Jobs Online will not issue refunds at the end of the subscription time period, even if fewer ads were placed than the maximum number allowed under the subscription. These terms constitute a legally binding agreement. 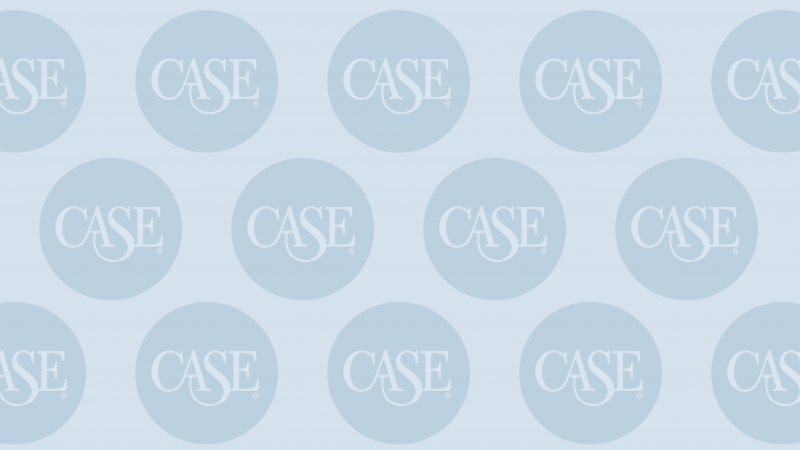 Grow your team with CASE's array of talent management programming. We found such value in the CASE Advancement Internship Program that we also participated in the CASE North America Fundraising Residency Program. We offered a former intern the opportunity to become our first CASE resident. Bringing in this young talent, interested in a career in philanthropy, is a win for all of us. Our CASE Advancement Intern was a great addition to our team. He was able to complete several important projects for us in the short time, and bring a new perspective to our work. It's a great way to help build a young professional's experience and serve as a resource and mentor. I went into this internship thinking it would be a summer job but now I'm working full time in development and I'm loving it. CASE set me up for success and I could not be more thankful. The CASE internship program was a phenomenal summer experience. It exposes you to the vast array of opportunities that are out there in the higher education sector, allowing you to meet seasoned professionals and make genuine connections with people across North America. The CASE Advancement Internship opened my eyes to the wealth of opportunities in advancement. This immersive and stimulating experience expanded my knowledge, built my network, taught me professional decorum, and nurtured the confidence I possess today. The internship gave me the foundation I needed to excel as a new development professional. Explore advancement through our in-person professional development opportunities and help support your team. This conference concentrates on emerging philanthropic markets (i.e., ethnic, LGBT, young alumni) in development, while exploring minority wealth, philanthropic behaviors, and diverse engagement strategies. The program also features sessions on enhancing management and leadership skills for development professionals of diverse backgrounds. Manage your most important asset: your people. Attract and retain individuals of diverse backgrounds to the advancement field with these CASE resources. Connect with fellow advancement professionals through CASE's networks.